Bloxham School Continues to Choose SISIS. 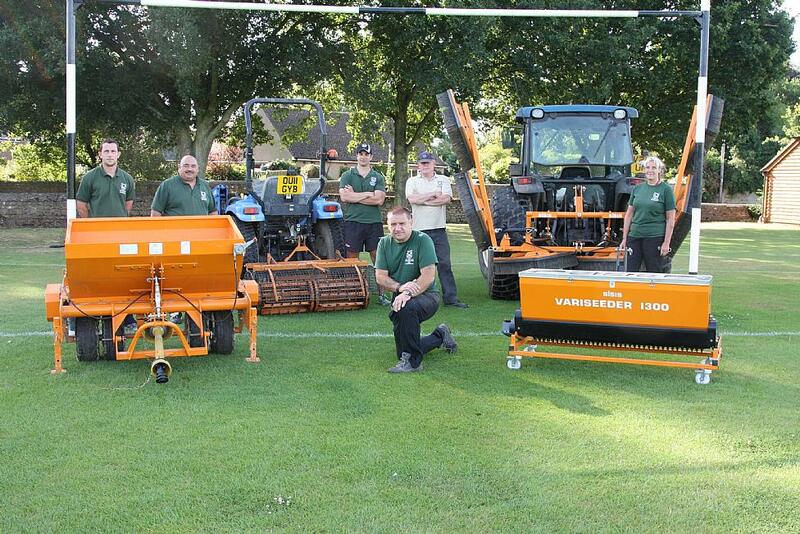 Bloxham School, in Oxfordshire, has recently purchased three new SISIS tractor mounted turf maintenance machines - the Powaspred, the Variseeder and the Flexibrush. With a plethora of synthetic and natural grass sports pitches at Bloxham School, grounds manager Glenn Davies and the rest of the grounds team have their work cut out. 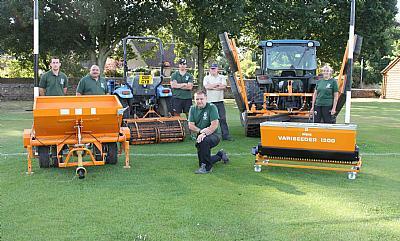 It is safe to say that their armoury is full to the brim with a range of market leading turf maintenance equipment – with one particular brand featuring prominently. After seeing excellent results from his existing SISIS products - the Auto Rotorake MK5, the Quadraplay, the SSS1000 Sweeper and the SISIS Twinplay implement frame – Glenn decided to increase his fleet of SISIS machinery even further when he purchased the Powaspred, the Variseeder and the Flexibrush. The SISIS Flexibrush is a tractor mounted brush which is equally effective to disperse top dressing and remove excess material on natural turf and on synthetic surfaces, keep infill mobile to prevent surface compaction. The versatile Flexibrush performs all of these tasks, and can also be used for dew dispersal and striping for improved presentation. It has a 5.35 metre working width, its brush sections float to follow ground contours and the outer sections fold for transport and storage. For Bloxham’s seeding requirements, Glenn and the team rely on the SISIS Variseeder, which is a versatile easy to use tractor mounted seeder with a variable seeding rate ideal for sports field maintenance. It is renowned for its extremely fast work rate and low maintenance – something which Glenn is particularly impressed with. Boasting infinitely variable spreading rates, accurate placement and an oscillating base plate to prevent bridging, the SISIS Powaspred is a unique top dresser which spreads a wide range of materials at the desired rate with an even and consistent spread.